Description: Varuna is the god of ocean, and also the guardian god of the west direction. Varuna's vehicle is the Hamsa (goose) as in this image. In his right hand, he is holding a lotus. 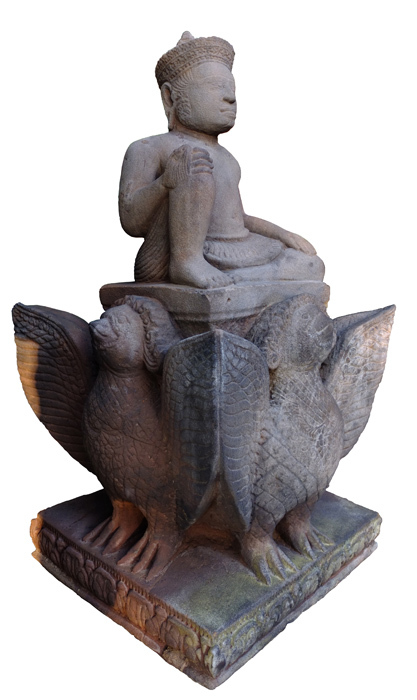 At his base decorates with the Hamsa (goose) in four directions.